Carpet dyeing is a process that re-dyes wall-to-wall carpet on location in homes, condos, offices and apartments. The process is clean, odorless, fast drying, and as permanent as your original mill dyes. Stains, fades, discoloring, and permanent soiling are no longer reasons to replace your carpeting. dyed carpet is beautiful in color, soft to the touch, ready for use in hours, and impossible to detect. our trained, certified staff can handle cleaning tasks for fabric and leather upholstery of most types. With our full line of specialized, pre-sprays and spotters, we are able to spot clean your furnishings or vehicle upholstery. we can also effectively clean and restore the look of your upholstery. We have a variety of cleaners that are safe for leather that can restore he look of your couch or chair. All rugs are pre-vacuumed, Pre-sprayed, Spotted and thoroughly cleaned, sanitized and dried. Then are inspected re-cleaned if necessary, and treated with Soil Guard Protection. Nothing beats a fresh cleaned rug! Most people don’t realize that it’s unhealthy to sleep on a mattress infested with millions of DUST MITES and muck. Mattresses should be cleaned every year to reduce the colonies of dust mites residing deep within your mattress. Single mattresses have been found to contain up to 200 grams of dust (mixture of organic & inorganic materials) as well as bacteria, viruses and fungal spores – all of which can cause ill-affects and allergies in humans. Regular floor stripping & waxing provide a preservative layer that makes the floor last much longer. The reason for this is that all wear and tear is happening to the wax layer, not the flooring itself. This protective layer does not last forever, however, and thus needs to be redone on occasion. A good sign that it is time to do so is when routine cleaning doesn’t seem to be able to get the floor clean any longer because the dirt has been ground into the wax layer. We only use high-performance wax and apply multiple coats to provide long-lasting performance and shine. Carpet protector is applied to carpet fibers to give them added protection from stains and soils. The science of modern carpet protectors is that they reduce the surface energy of the carpet fiber and act like non-stick coatings on a cooking utensil. Soil, oil, and water all slip off the fiber. Many carpets are pretreated with protector at the mill, and may also be treated with a dye-blocker to further enhance the carpet’s stain resistance. Feel the Relief by reducing levels of Dust Mite and Pet Allergens in your home by 90% or more. The National Institutes of Health recently published the results of a 3 year study determining that 46% of North American homes have bedding with enough dust mite allergen to cause allergies. Of these homes, 24% had levels that were five times greater than the threshold to cause allergic reactions! There is now a revolutionary new anti-allergen cleaning and treatment program called ResponsibleCare® System that allows you to safely, easily and affordably reduce the levels of these allergens by 90% or more. You already know that successfully managing allergic illness consists of doing everything you can, from taking your medication to practicing good Environmental Control. The most important part of Environment Control is to minimize or avoid exposure to allergens from dust mites and pets, the most potent allergens found in indoor air. The ResponsibleCare System is a powerful new way to achieve this objective, and includes specially formulated cleaning agents used prior to application of Allergy Relief Treatment on carpets, mattresses, upholstery, rugs and beddings. Allergy Relief Treatment is a hypoallergenic solution that contains a powerful active ingredient derived from naturally occurring extracts found in fruit and vegetable seeds. They are non-toxic, dye and perfume free, contain no volatile organic compounds (VOC’s), no phosphates or other hazardous materials, and are biodegradeable and environmentally safe. The products have been specially formulated for use around people with allergic illnesses and chemical sensitivities. There is some wonderful science that has been introduced to our industry in recent years. There are extremely effective anti-microbials, oxidizers, and other treatment products (available only to certified firms) that, when used properly, can solve most urine problems. 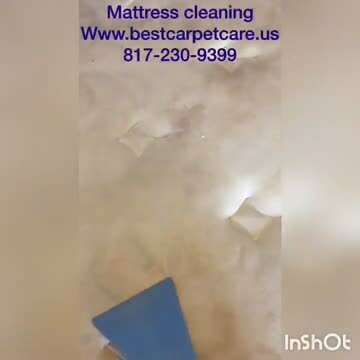 Best Carpet Care Systems pet odor specialists will eliminate pet odors by locating and destroying odor-causing bacteria in your carpeting. 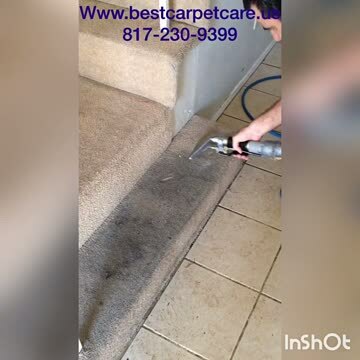 By destroying the bacteria, we’ve eliminated the odor at its source, and can guarantee it will not return.Best Carpet Care Systems’ pet odor treatment restores a healthy environment, and leaves your carpets fresh, clean and safe.